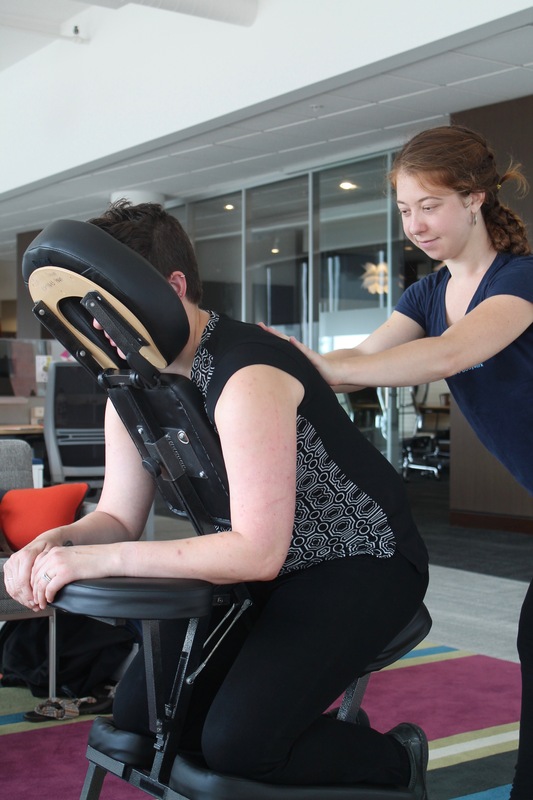 Have you considered the benefits of massage therapy at work? 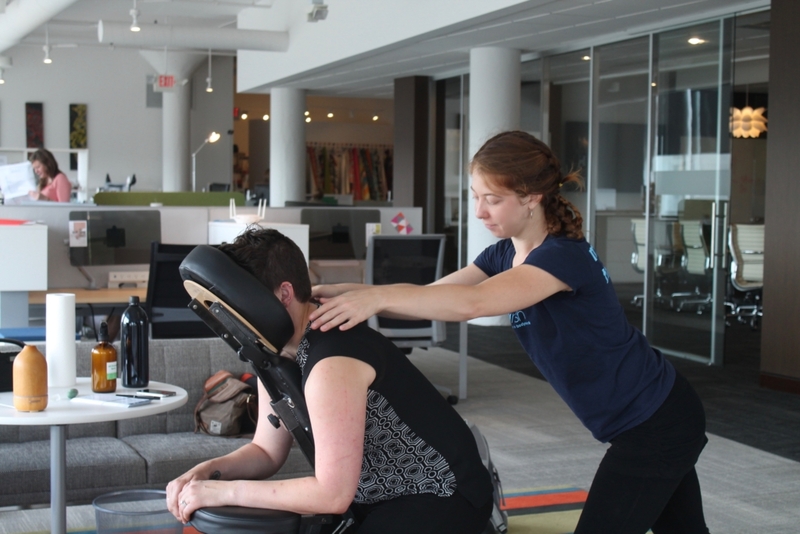 Flourish will travel to your office and help promote healthy work habits while giving back to those that need it most! 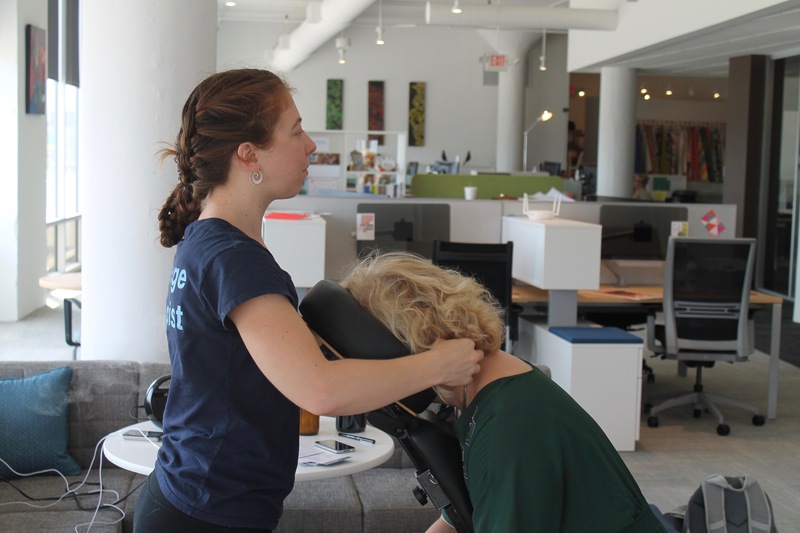 Chair massage is an affordable and effective way to improve overall workflow and company moral. 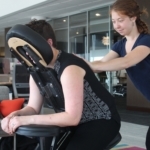 Many companies offer this service to their employees either once a month, at special events, company wellness events and more… Contact us for options on how we can help in your office. 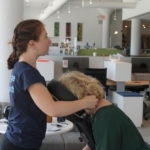 Our focus during chair massage is where most accumulation of tension occurs due to habitual postures such as sitting at a desk, working on a computer, or standing for long hours. We meet with each employee to ensure we understand their individual needs. For more information on rates, please contact info@flourishmassage.com or call us today to schedule a visit from the Flourish Team.